1. It is also called Cave of the Crystals because it is actually made up of three caves that are co-joined among them. The one out of them is very much larger than the others. 2. The Naica mine is still active and if you want to visit the place you can do so with proper permissions. The upper cavern is available for access and below one is too dangerous to visit because of the extreme temperature. 3. Just beneath the cave lies the pool of magma. The magma is rising from the Earth’s core. This heat from this magma makes the cave unbearable for any substantial amount of time. 4. The crystal cave has seen a considerable amount of growth over the past half a million years. 5. The Cave of the Crystals is a home to stacks of selenite. 6. The cave of the crystals have very high temperatures averaging upto 58°C (136°F) and humidity goes above 90% and hence it is quite difficult to explore the cave. 7. The cave is located above the magma chamber that is responsible for generating heat and because of mineral-rich water originally in the cave with the undisturbed environment and hydrothermal circulation, it has taken approximately thousands of years to form this cave. 8. As of now, the cave of the crystals is only visited by scientists and a team lead by crystallographer Paolo Forti of Italy’s University of Bologna, Europe by wearing special suits. 9. 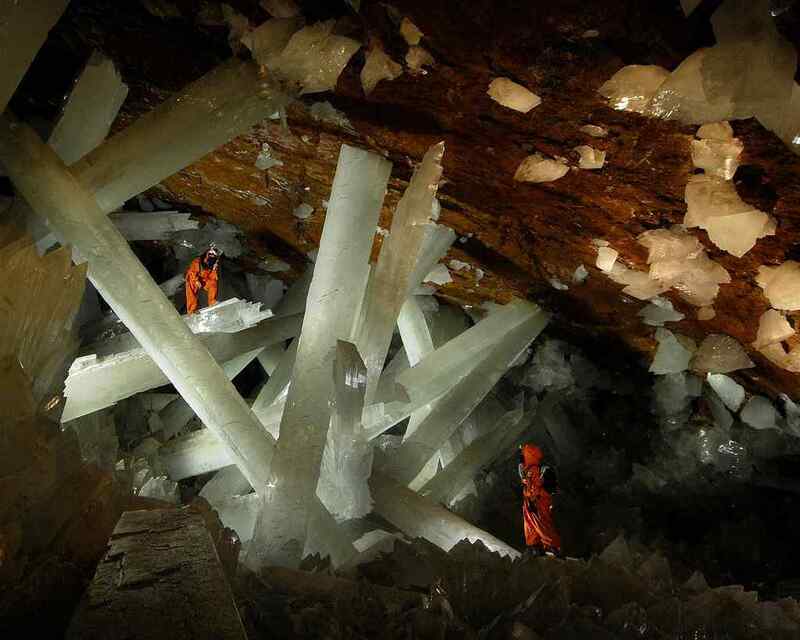 There are predictions that more chambers are connected to Giant Crystal Cave, however, it will result in the destruction of numerous crystals. 10. Cave of the crystals privately owned by Industrias Penoles(Mexican mining company) that primarily mines zinc, silver and lead from the Naica Mine. These are the 10 amazing facts about caves of the crystals. Do post your comments.